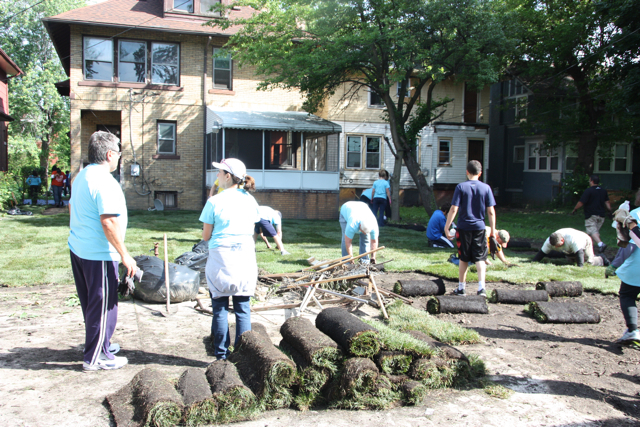 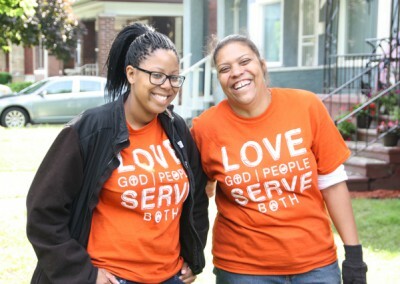 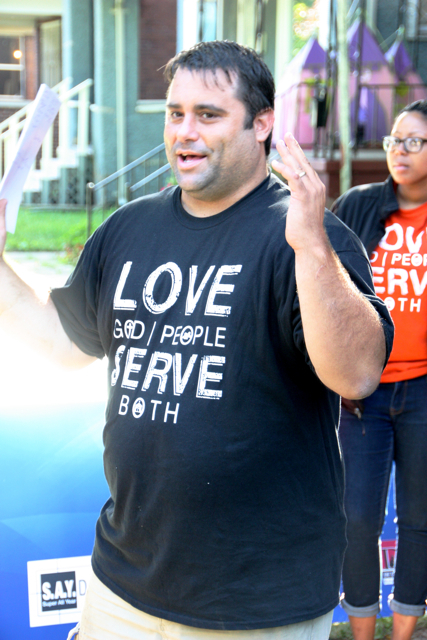 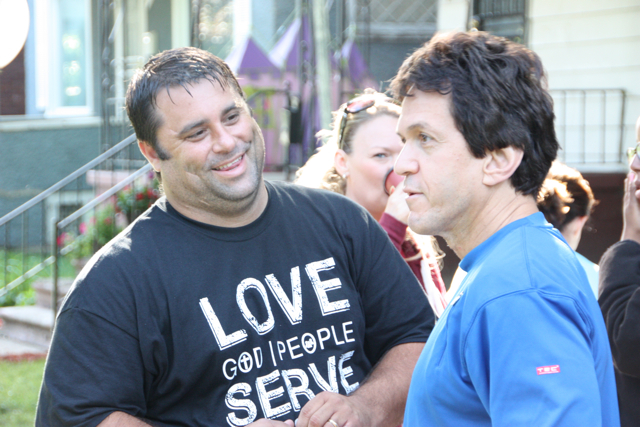 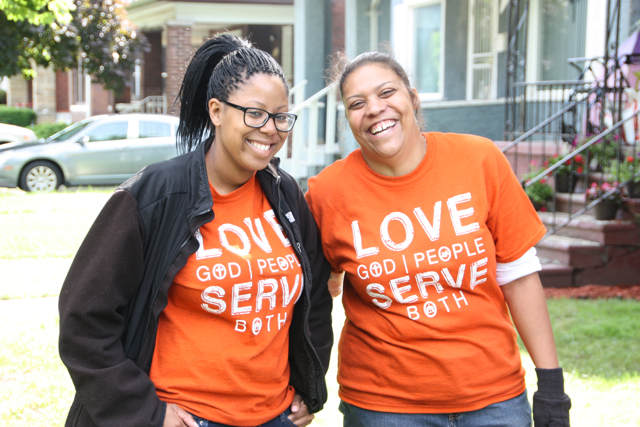 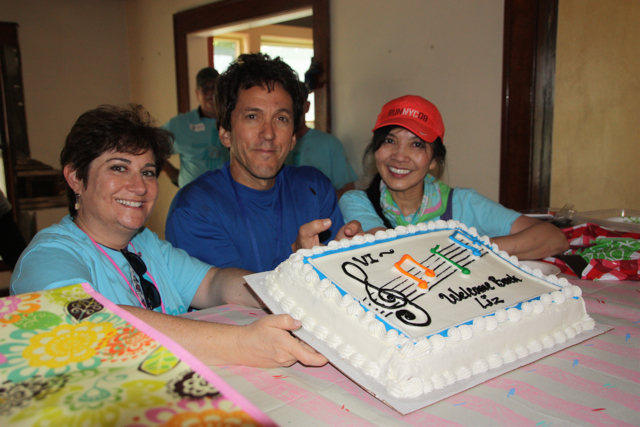 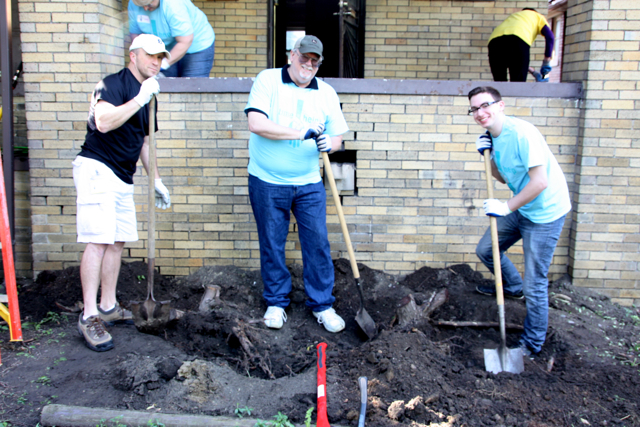 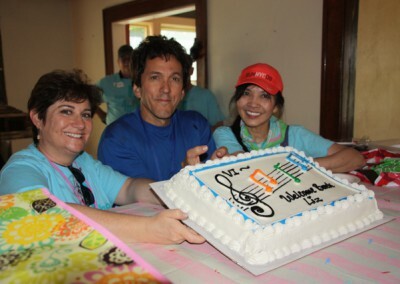 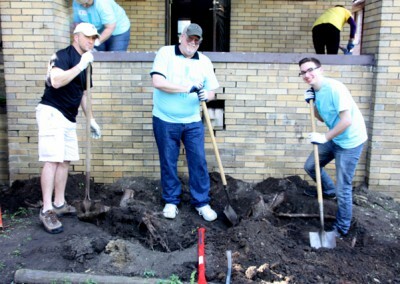 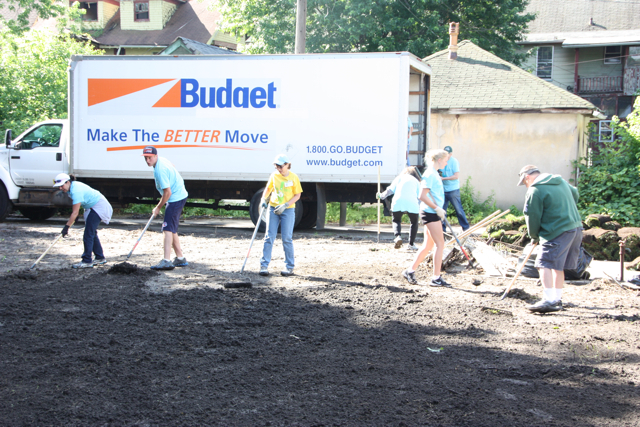 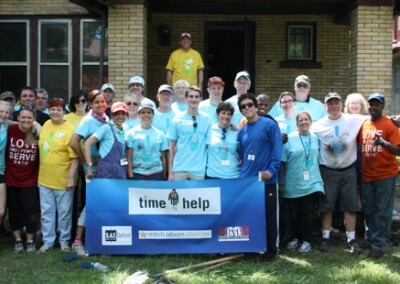 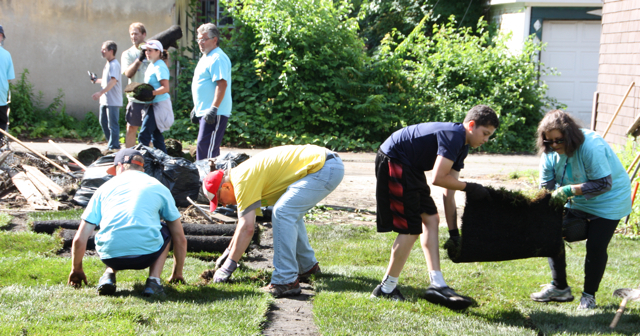 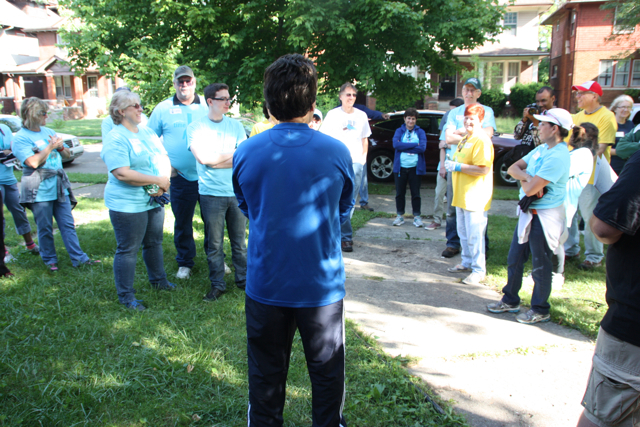 June 21 – Highland Park, MI – Nearly 40 volunteers worked alongside members of Highland Park’s Revival Tabernacle Church to clean up a house that will soon become home to a working mom and her two kids. 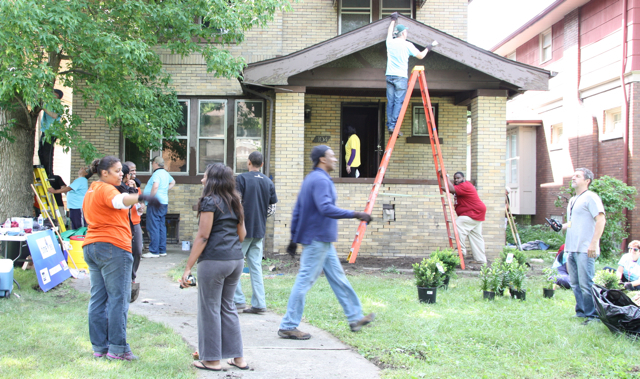 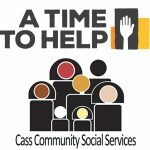 The project was part of Hope Village Detroit’s new initiative to help single families settle comfortably into their own homes. 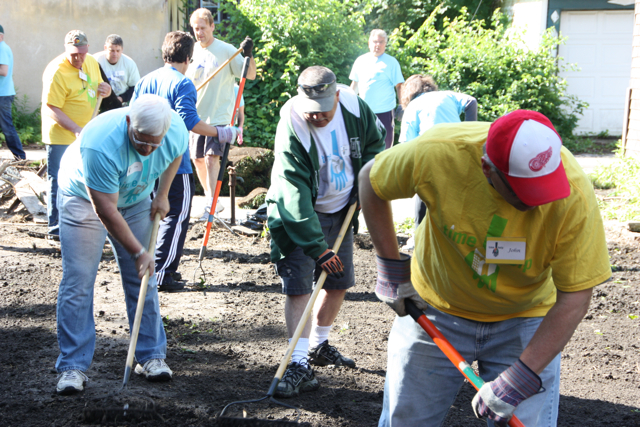 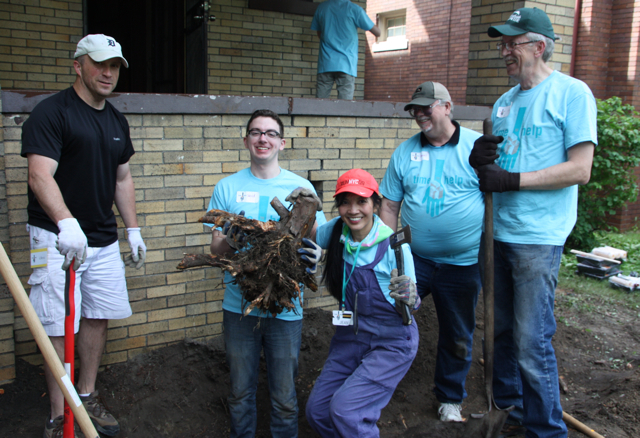 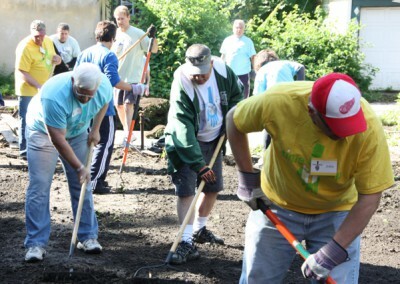 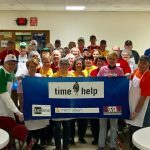 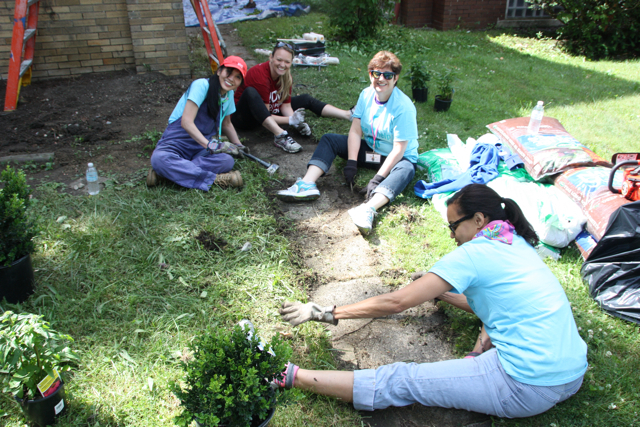 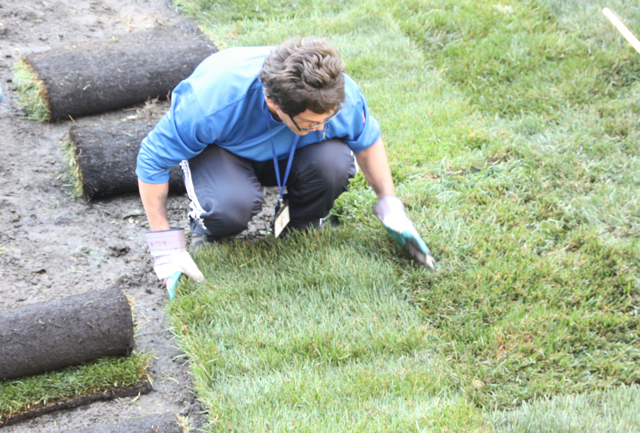 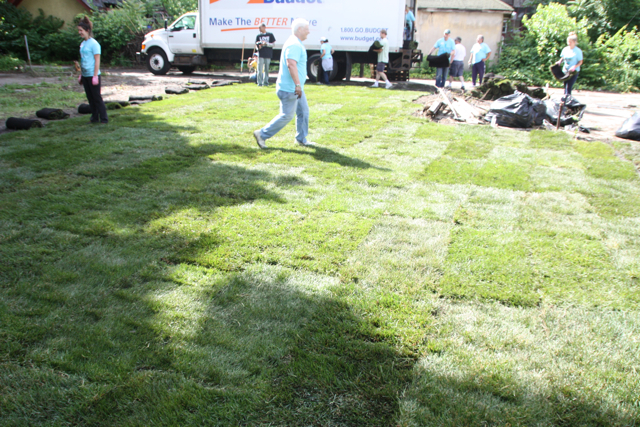 Volunteers laid down sod, removed tree stumps, planted a flower and shrub garden, mulched landscape beds, scraped paint from the home’s exterior trim, and even began priming interior walls. 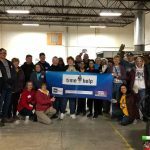 Visiting from Arizona and on-hand to assist was Volunteer Impact Founder Liz Kanter-Groskind, who was also the Time To Help coordinator at its inception. 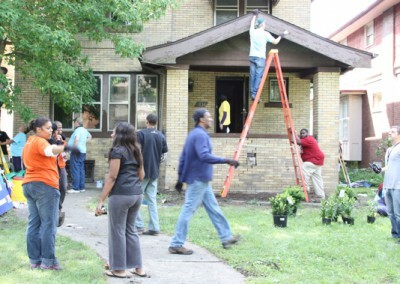 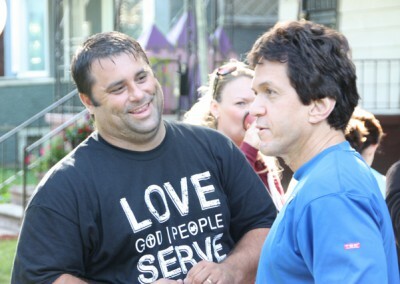 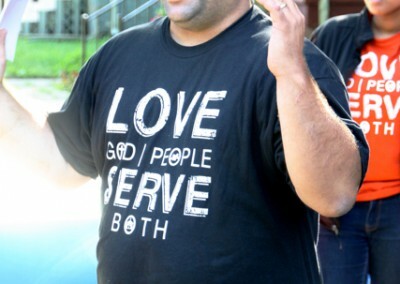 For more information on Hope Village Detroit, visit www.hopevillagedetroit.org.